Telegraph Offices in the north-east region. 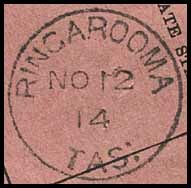 Avoca (formerly Saint Pauls Plains) Post Office opened on 1 June 1832. 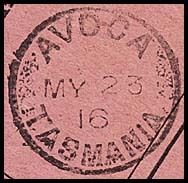 It was renamed Avoca in 1837. The Telegraph Office was opened in 1881. The Telegraph Office opened in 1876. 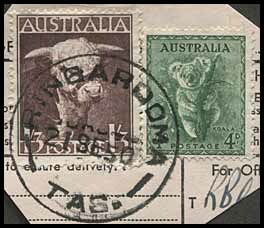 The Post Office had opened on 1 June 1832. 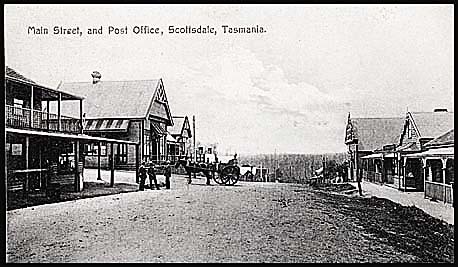 The Post Office opened on 1 October 1874. In the early days, it was also referred to as Maurice. 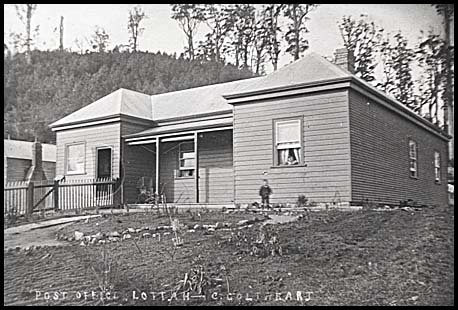 The Telegraph Office was opened about 1884. TAS followed by a colon (:). Used on a telegram piece. The Telegraph Office opened in 1882. 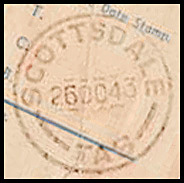 The Post Office opened on 29 November 1865 as Ellesmere and changed name to Scottsdale in 1893. 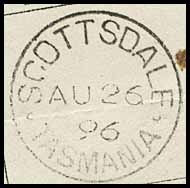 The earliest recorded telegram was sent from Scottsdale (not Ellesmere) to Launceston on 11 August 1884. (the earliest recorded date for this form). 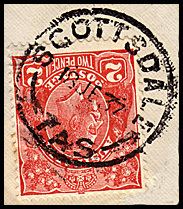 Sans serif letters (5 mm high) - used on TC-DO-5A on 5 November 1897. Telegraph lines from Falmouth ran in 1876 and TO opened. (A land coach service was also opened in 1876). Georges Bay Post Office opened on 1 April 1869 and was renamed St. Helen's in 1882. The earliest recorded telegram to St. Helens is on 21 December 1874 from Green Ponds (TC-TO-3B). St. Patrick's Head Post Office opened on 1 June 1835. It was renamed Cullenswood in 1849 and St. Marys in 1869. 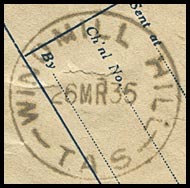 A telegram is noted in Ingles (1975, p109, 117) with the only known date stamp. Two others are confirmed: the 1935 shown here and a 28 June 1943 used on AW-DO-9A. Telegraph lines in the North-east region.